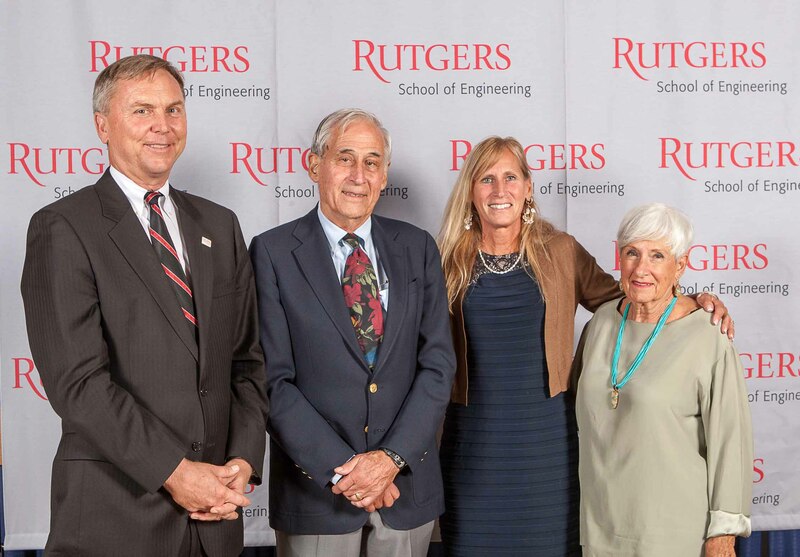 The School of Engineering honored six distinguished alumni at a gala event on Thursday, October 2, on the Rutgers New Brunswick campus. 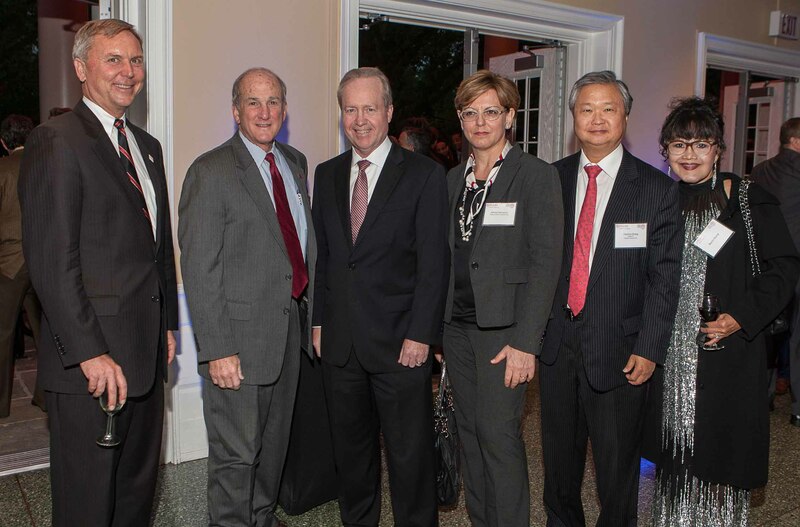 More than 300 alumni, industry partners, government officials, faculty, and students celebrated the achievements of Charles Chang GSNB’75, James W. Hughes ENG’65, GSNB’71, Charles R. Kurkjian ENG’52, Joanna L. Martinez ENG’75, GSNB’77, Robert Stianchi ENG’05, and Mark C. Zimmerman GSNB’85, recognized leaders in pharmaceutical research and development, planning and public policy, organizational procurement, packaging and manufacturing, market research, and telecommunications. 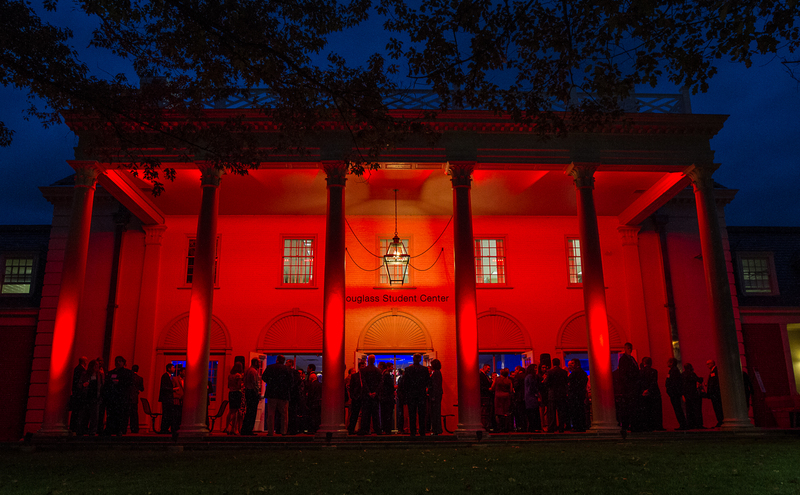 The event, which supports engineering scholarships, raised $160,000. 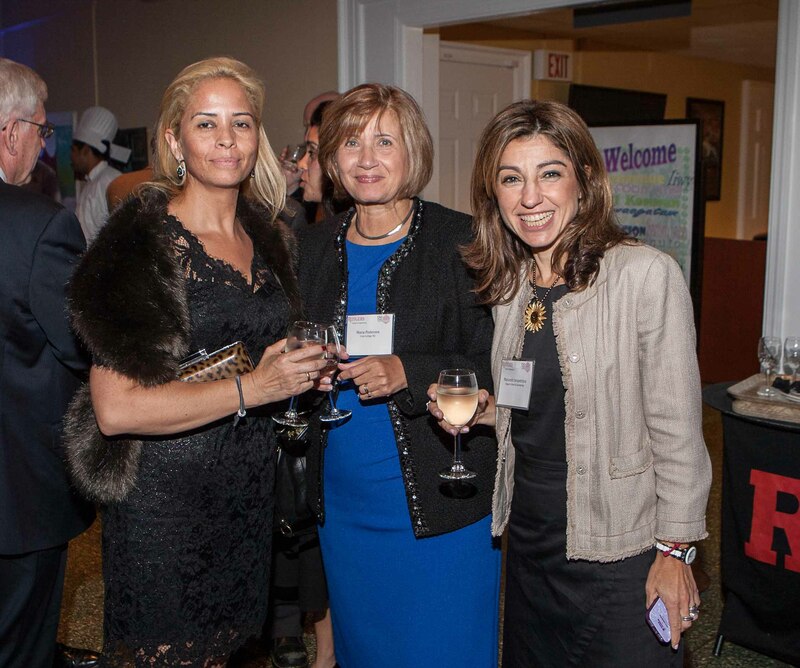 Farris also thanked lead corporate sponsors PSEG, Raytheon, MPC Energy, along with gold sponsors Exelon, Horizon Blue Cross Blue Shield, Janssen, and Topline Products, for their support and commitment to the school's students. In addition, State Senator Raymond Lesniak presented recipients with a resolution to honor their achievements on behalf of the state of New Jersey. 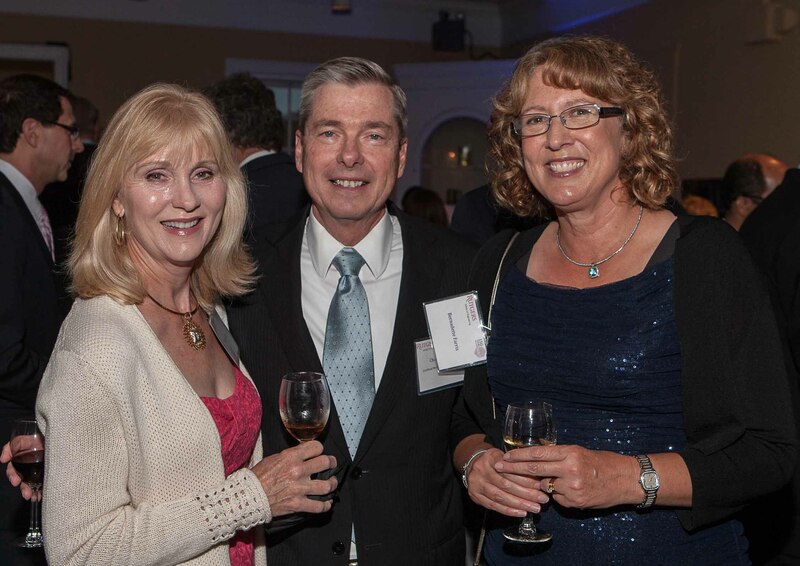 U.S. Representative Frank Pallone, Jr. was unable to attend the event, but congratulated the school on its 150 anniversary and recognized its research initiatives and education efforts in a letter to those in attendance. 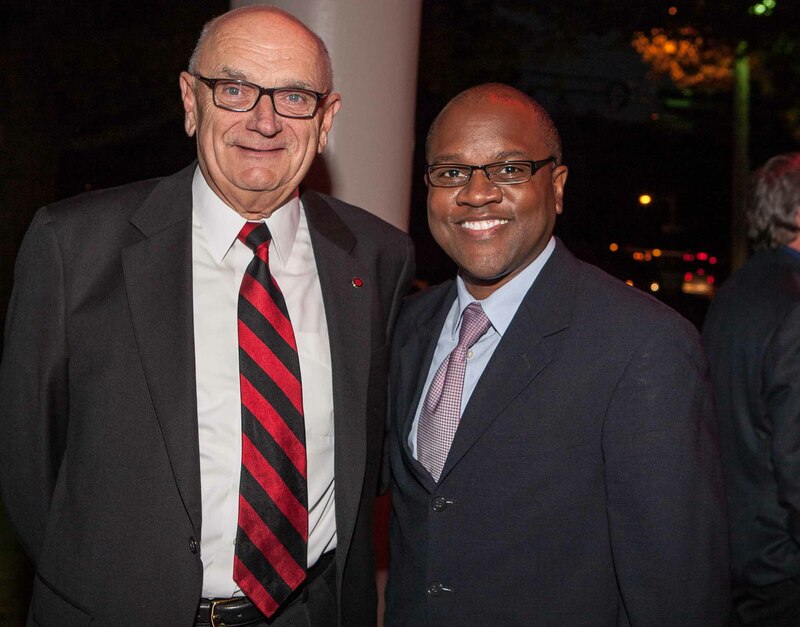 James W. Hughes, dean of the Rutgers University Edward J. Bloustein School of Public Policy and Planning, was the recipient of the Medal of Excellence, the school’s highest honor awarded to an alumnus whose superior, lifetime achievements honorably reflect the school. 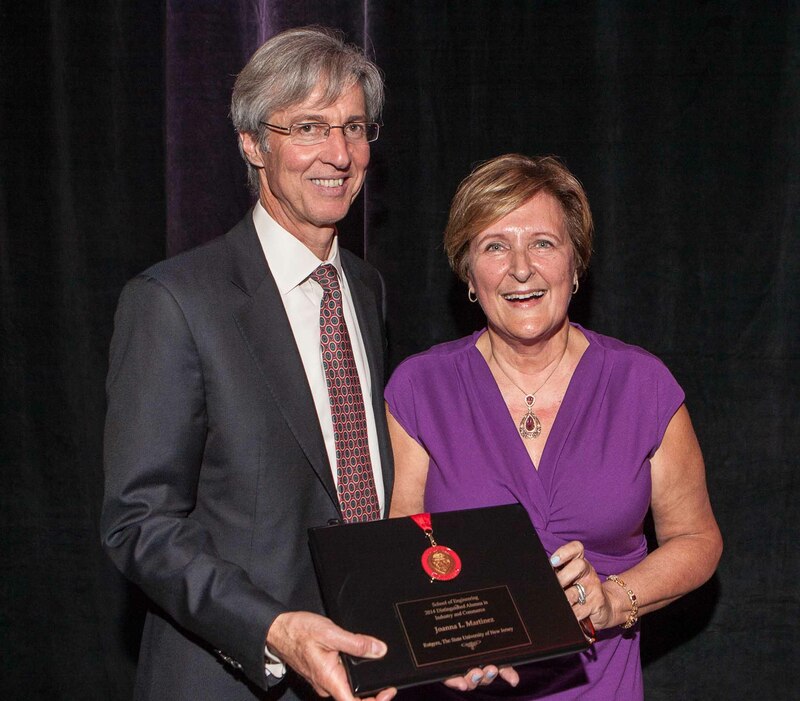 As a nationally recognized academic expert on demographics, housing, and regional economics, Hughes’s exceptional achievements and reputation have elevated the prominence of the Bloustein School of Planning and Public Policy in the state and the region. 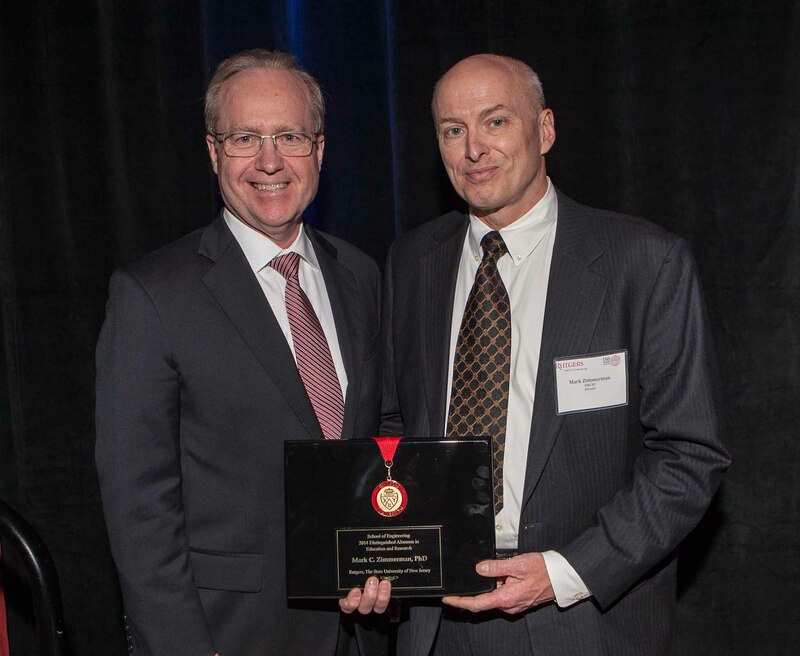 Mark Zimmerman, venture leader at Janssen Pharmaceuticals, received the Distinguished Alumnus in Education and Research award from Tom Kennedy ENG’77, CEO of Raytheon, who recognized his contributions in the development and commercialization of a cellular product to treat diabetes. 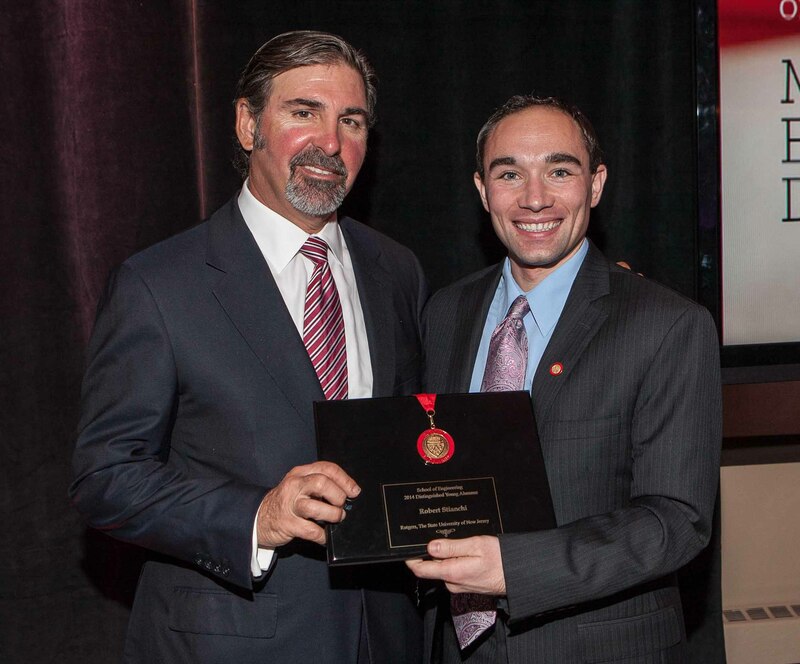 Robert Stianchi ENG’05 received the Young Alumnus award for his accomplishments at Merck in bringing biosimilar products to market. 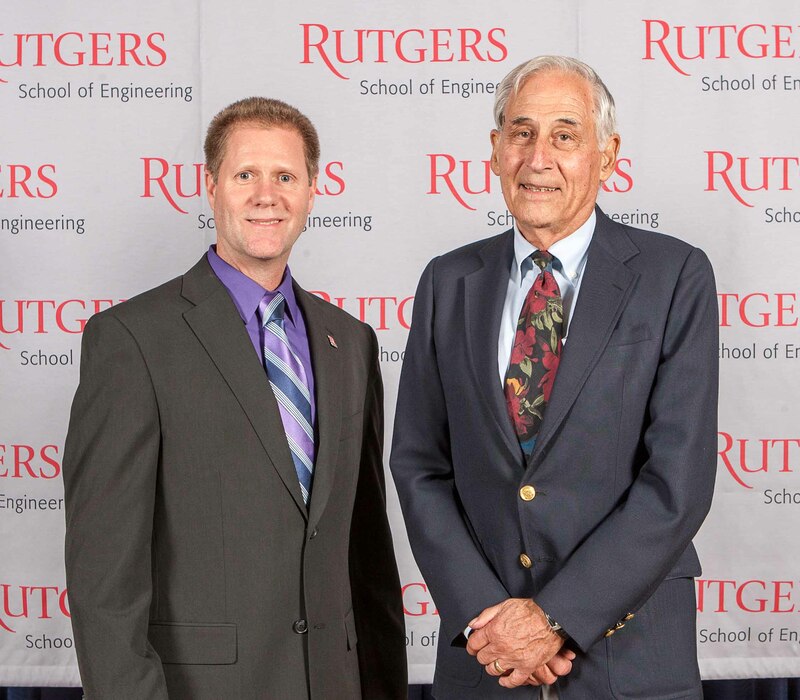 Charles Kurkjian, a National Academy of Engineering member and widely regarded as one of the foremost experts in glass mechanics, received the Rutgers Engineering Society’s Distinguished Engineer Award. 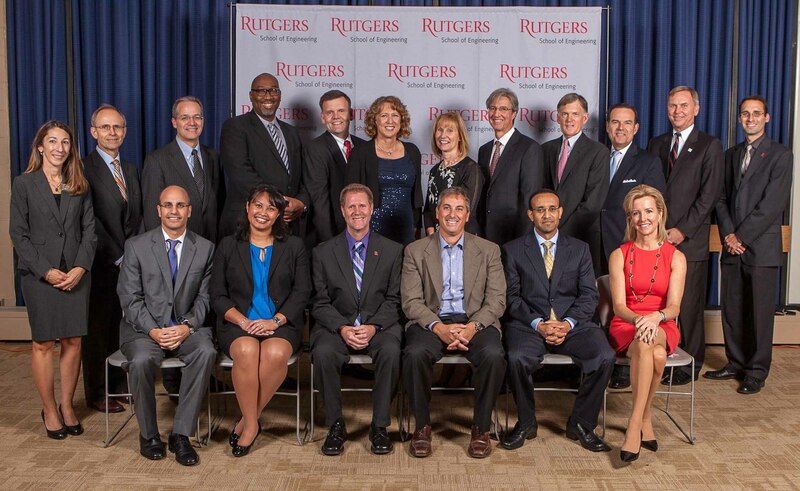 Rutgers University President Robert Barchi was in attendance and congratulated the honorees and the School of Engineering which he said, "equips our students to innovate, to solve problems, and better yet—to get out ahead of problems." Barchi also announced a recent pledge made by an anonymous alumnus in support of a $20 million Engineering Gateway Building campaign. This challenge pledge commits to funding the final $4 million of the campaign if the full amount is met by January 2, 2015. He challenged alumni, faculty, industry leaders, and public officials, to help respond to this tremendous opportunity which would allow the school to meet its goal well ahead of schedule. James W. Hughes, dean of the Edward J. Bloustein School of Planning and Public Policy at Rutgers University since1995, is a nationally-recognized academic expert on demographics, housing, and regional economics providing extensive budgetary and economic testimony before many New Jersey State Legislative committees, policy briefings both in Washington and Trenton, and consulting to numerous federal, state, and local public bodies as well as private and corporate clients. 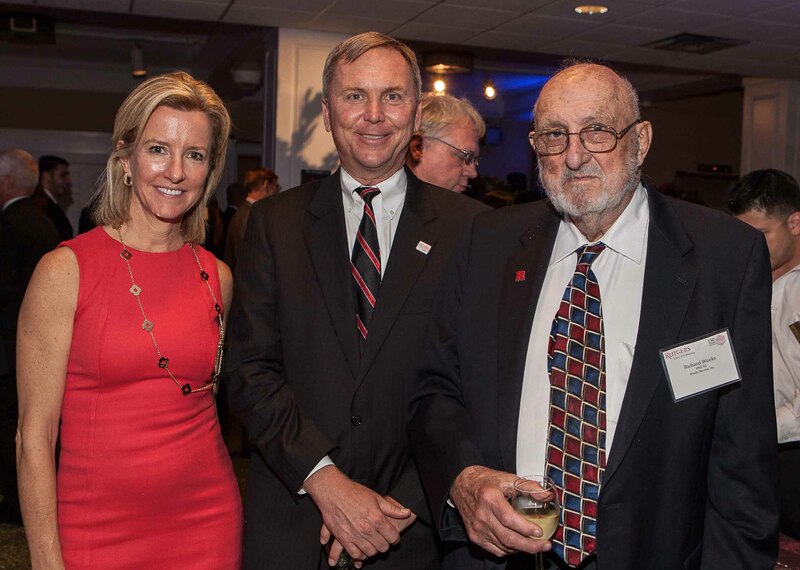 He has produced 37 major economic/demographic/housing studies on New Jersey and the New York region as director of the Rutgers Regional Report. 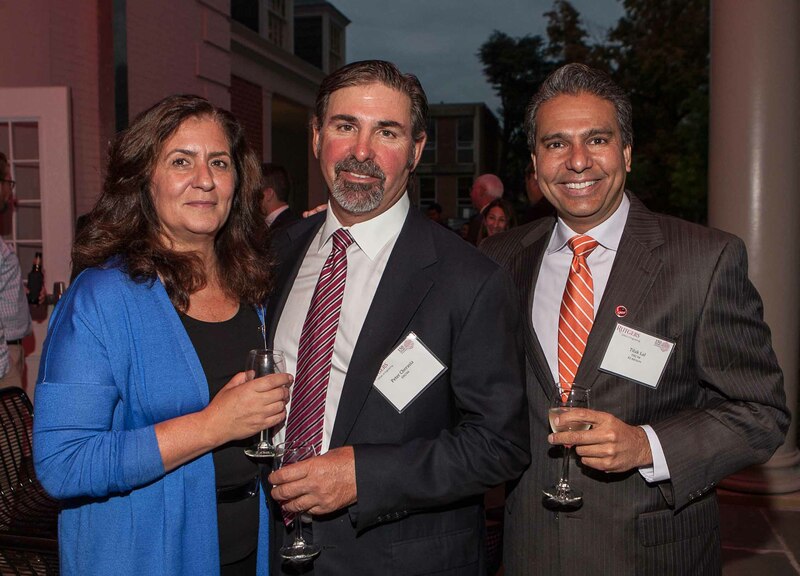 He was recently a member of Governor Christie’s Housing Opportunity Task Force and served on the NJ Governor’s Commission on Jobs, Growth and Economic Development, and the Governor’s Logistics Council, as well as corporate boards and task forces. He was named a Distinguished Fellow of the National Association of Industrial and Office Properties and has been both a Woodrow Wilson and Ford Foundation Fellow. 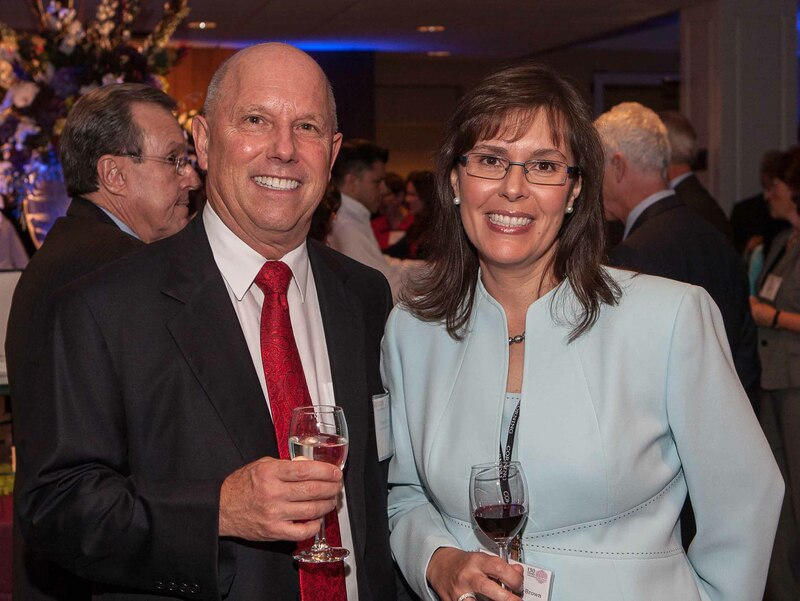 Over her career, Joanna Martinez has created ways in which procurement and supply chain help grow a company’s bottom-line. 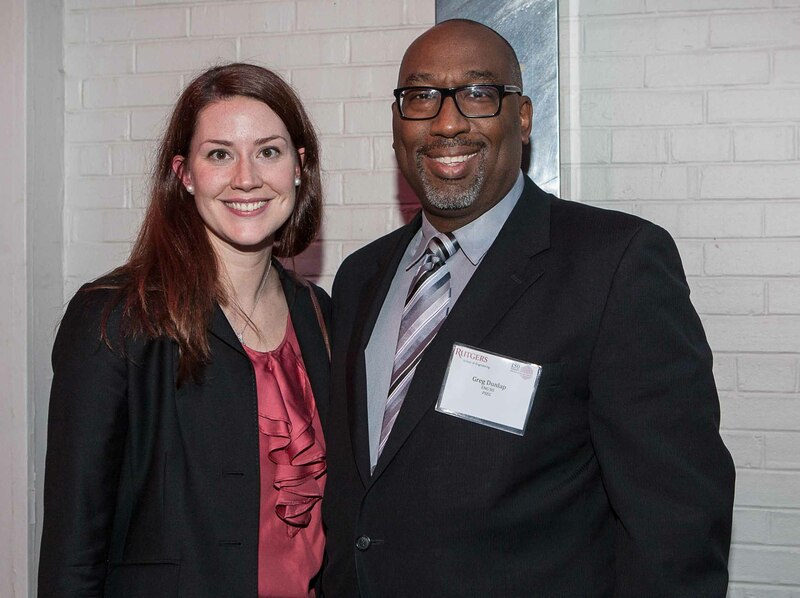 Today, in her role as chief procurement officer for Cushman & Wakefield, she brings innovations to the firm and to its facilities management clients. 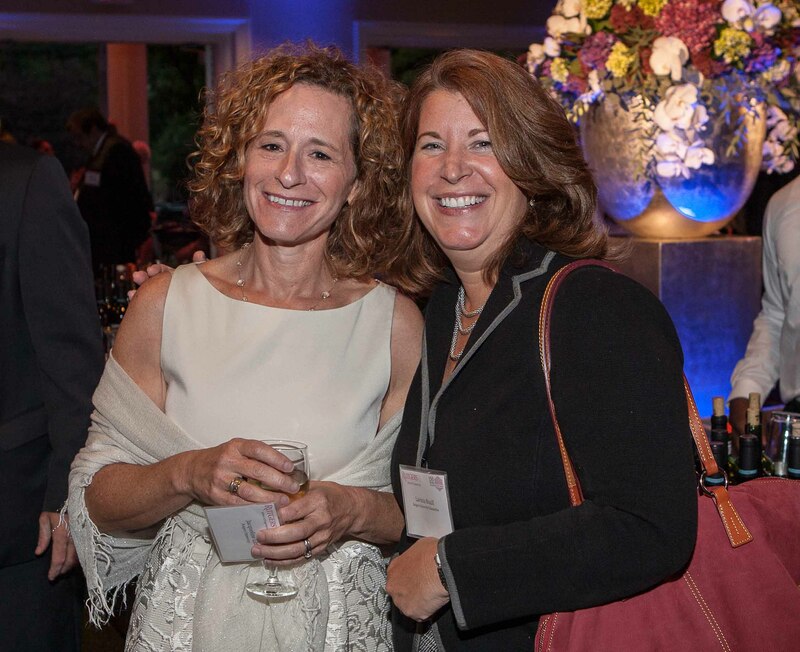 Before joining C&W she created global sourcing at Alliance Bernstein L.P., a leading investment services firm, and held engineering, management, procurement, and supply chain roles at Diageo PLC and within the Johnson & Johnson Family of Companies. 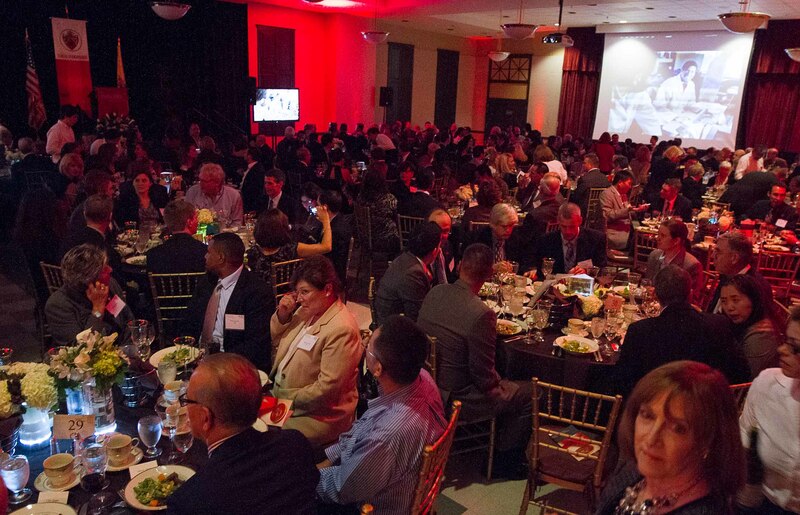 Martinez has received numerous awards for innovation, among them recognition by the New Jersey ISM. 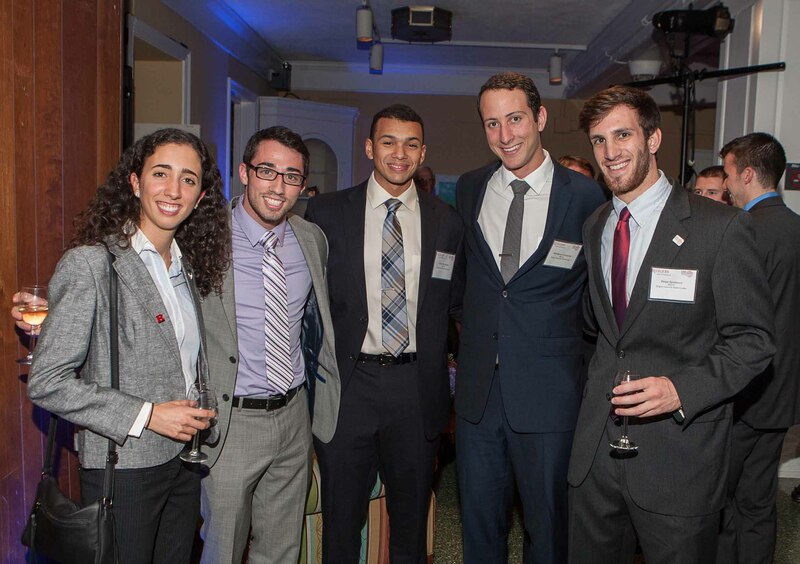 Joanna has been a guest speaker at Columbia and De Paul Universities and often speaks at professional events. 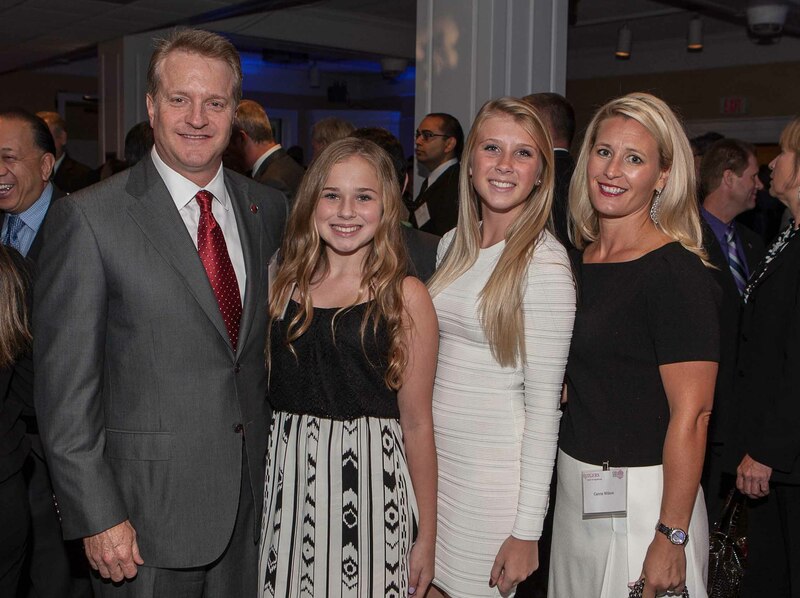 This year, she was named a Supply and Demand Chain Executive Pro to Know. As a scientist engaged in research focused on regenerative medicine and tissue engineering projects related to bone and cartilage regeneration, wound healing, vascular biology, and diabetes, Mark Zimmerman is currently a Johnson & Johnson venture leader responsible for research, product development, and commercialization of a cellular product to treat insulin requiring diabetes. 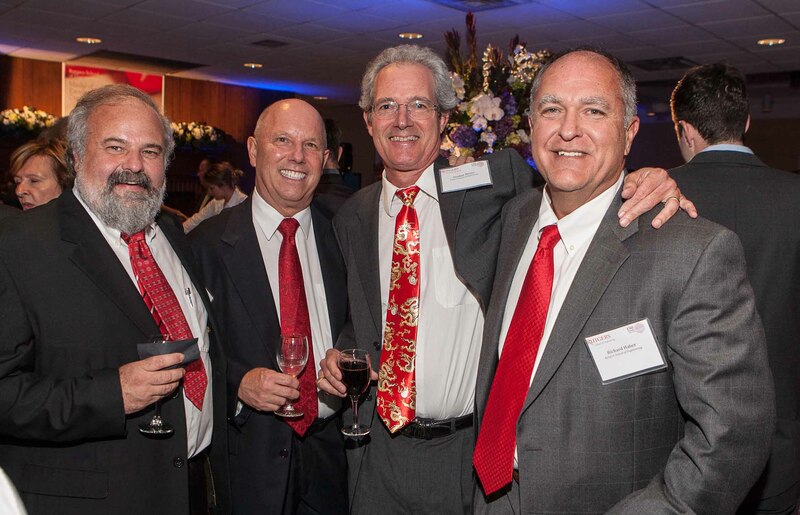 Prior to joining Johnson & Johnson, Zimmerman was a member of the faculty at the University of Medicine and Dentistry-New Jersey Medical School (now Rutgers Biomedical and Health Sciences) in the Department of Orthopaedic Surgery. Robert Stianchi is the director of Commercial BioVentures at Merck leading marketing research and marketing support related to biosimilar products. As an expert in the global biosimilars market and off-patent biologics in the United States, he most recently led initiatives to shape Merck’s biosimilar commercialization strategy, including advancements in contracting and tendering, device development, and customer services and support. From his earliest days in the cosmetics industry as a packaging engineer and later as founder and president of Topline Products, Charles Chang has made a name for himself as a creative innovator and a global leader in the cosmetic packaging industry. He pioneered the introduction of packaging solutions from Asia to North America and holds 30 patents worldwide. 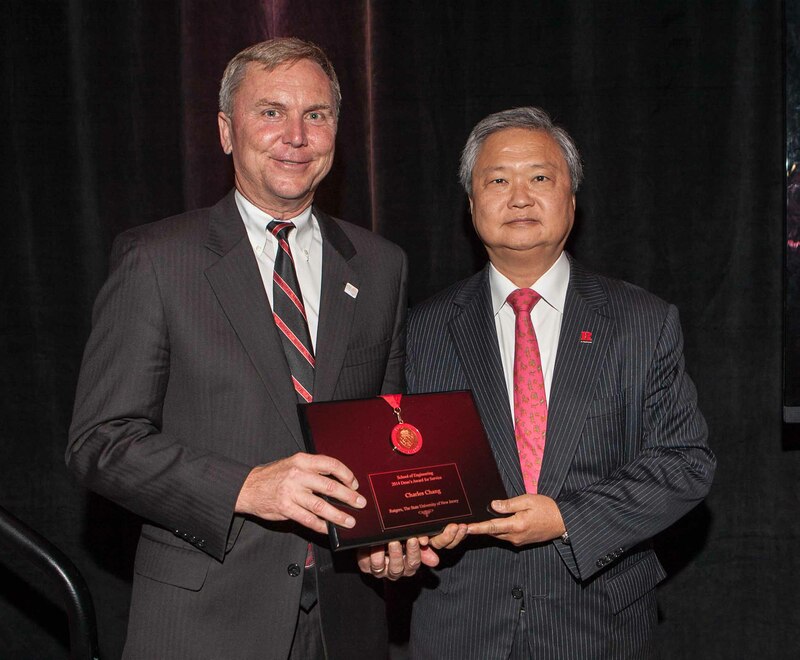 His long and respected association with Rutgers and the School of Engineering includes establishing and serving as chairman of the Rutgers Packaging Engineering Advisory Board. 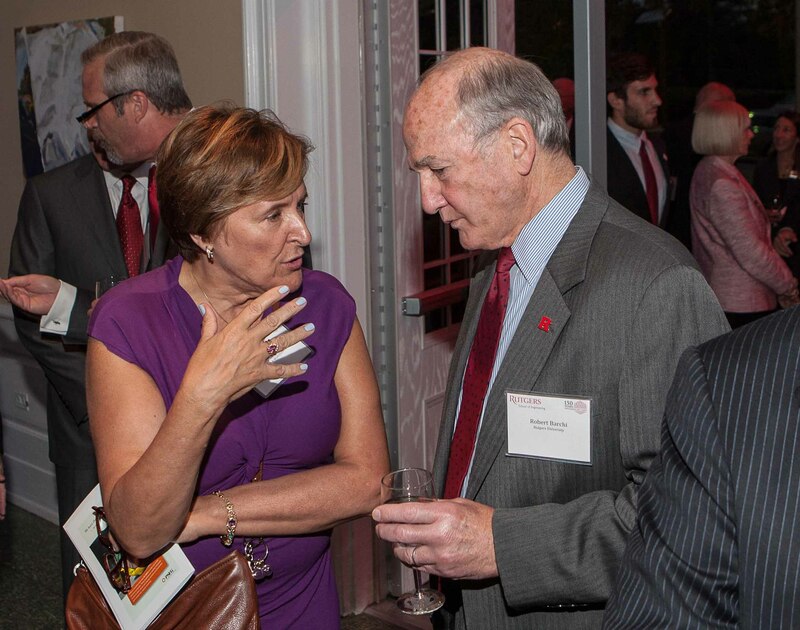 He is also a member of the School of Engineering’s Industry Advisory Board and the Rutgers Foundation’s Board of Overseers. 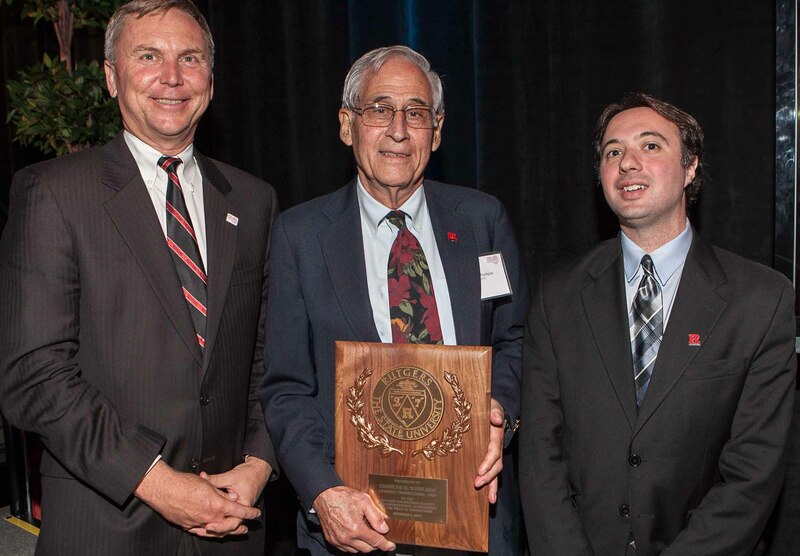 Widely regarded as one of the foremost experts in the area of glass mechanics, Charles R. (Chuck) Kurkjian will be honored for his work in the field of glass science and technology. 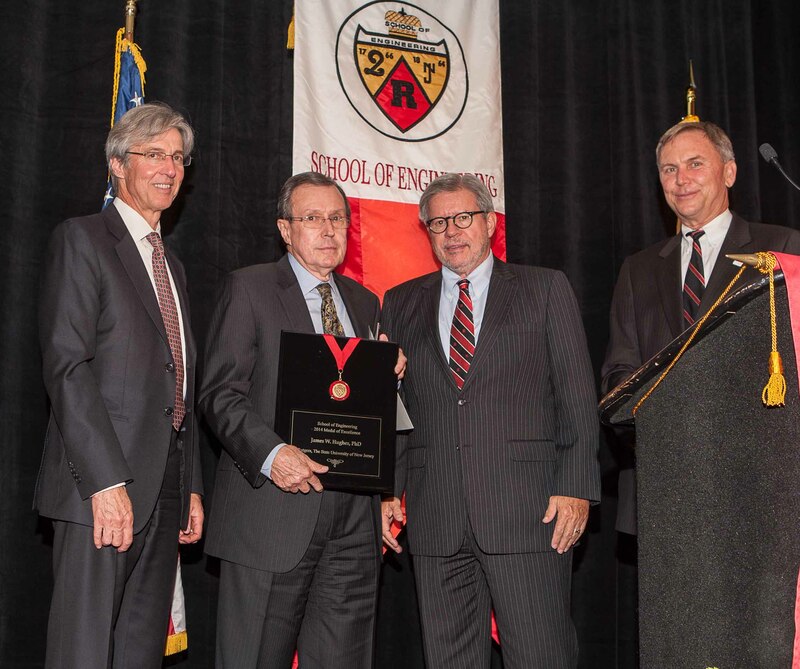 Elected to the National Academy of Engineering—one of the highest professional honors accorded to an engineer—Kurkjian was recognized for his contributions leading to the development of long optical fibers. Over a 45 year career at Bell Laboratories, Kurkjian published numerous papers and was awarded seven patents. 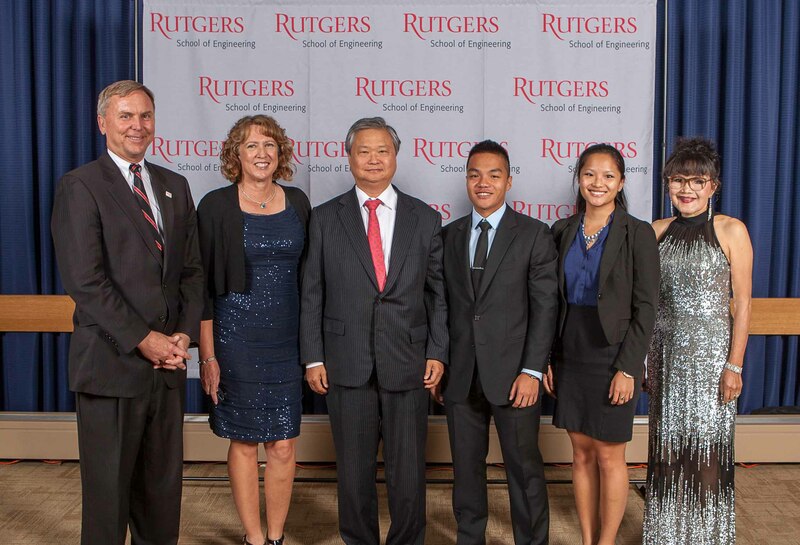 He continues to be an engaged with Rutgers and the Department of Materials Science and Engineering.